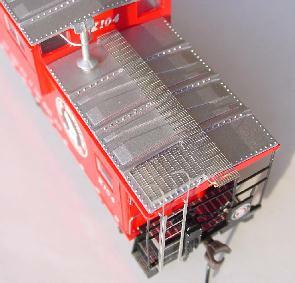 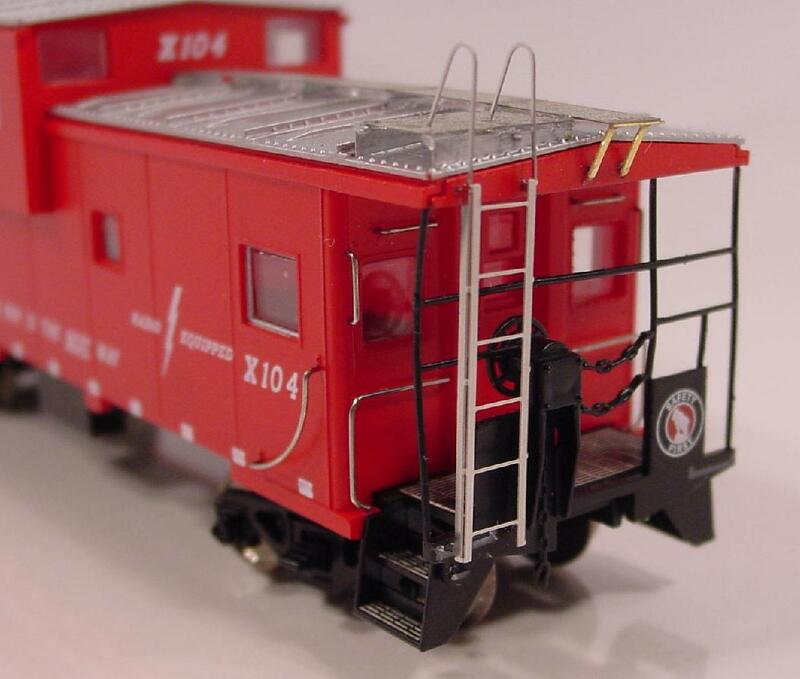 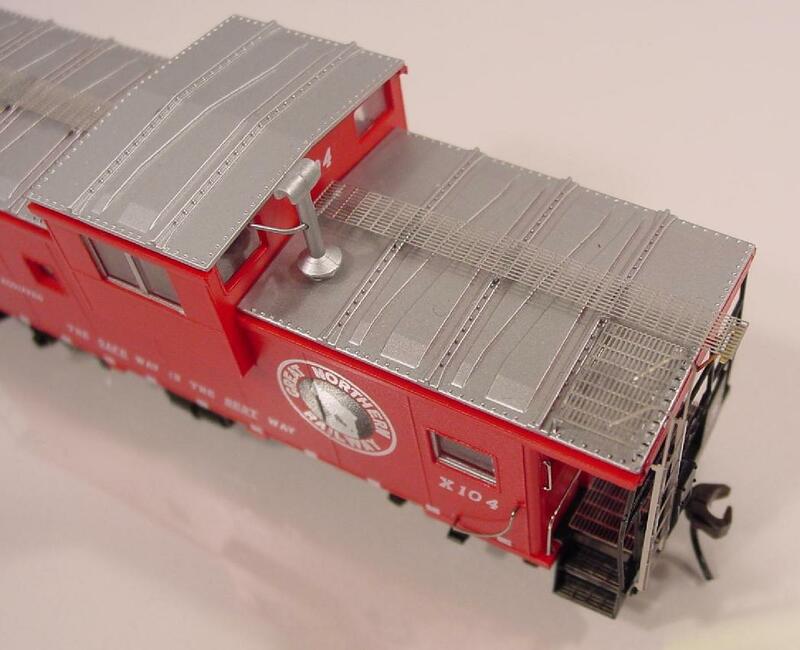 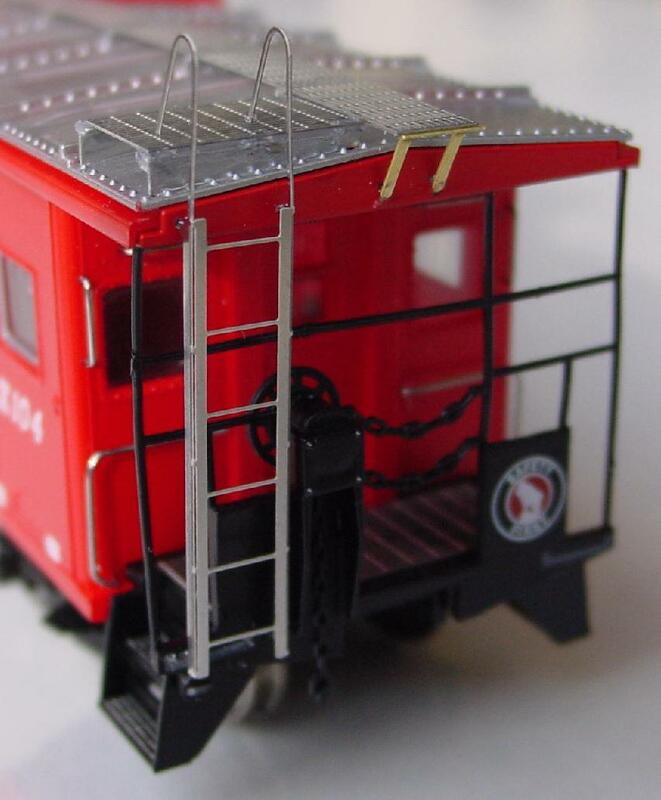 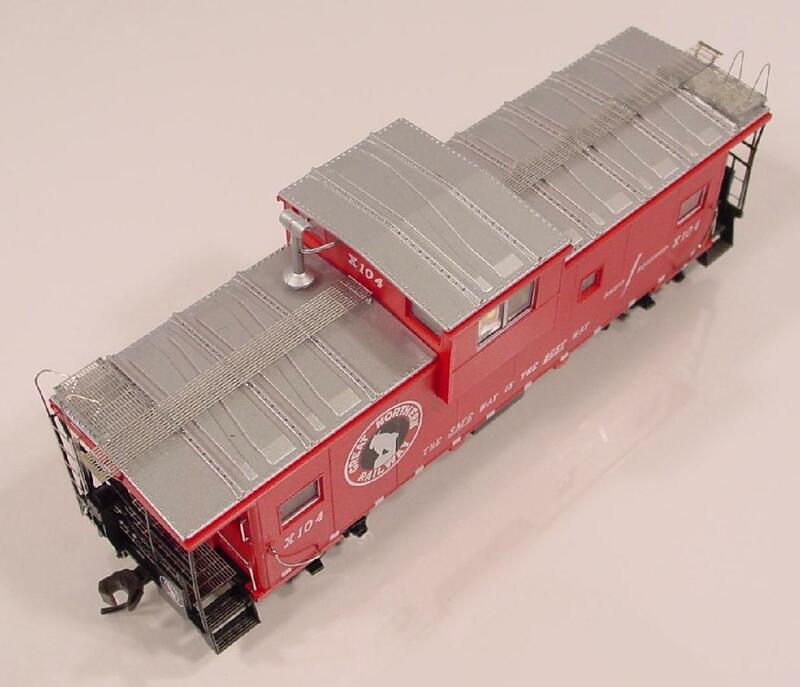 The Atlas caboose in these photos has one of our Apex Pattern Walkway kits added to it. 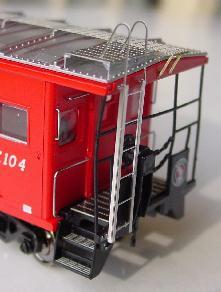 The kit includes walkways, brass walkway supports, ladders, end platforms and steps. 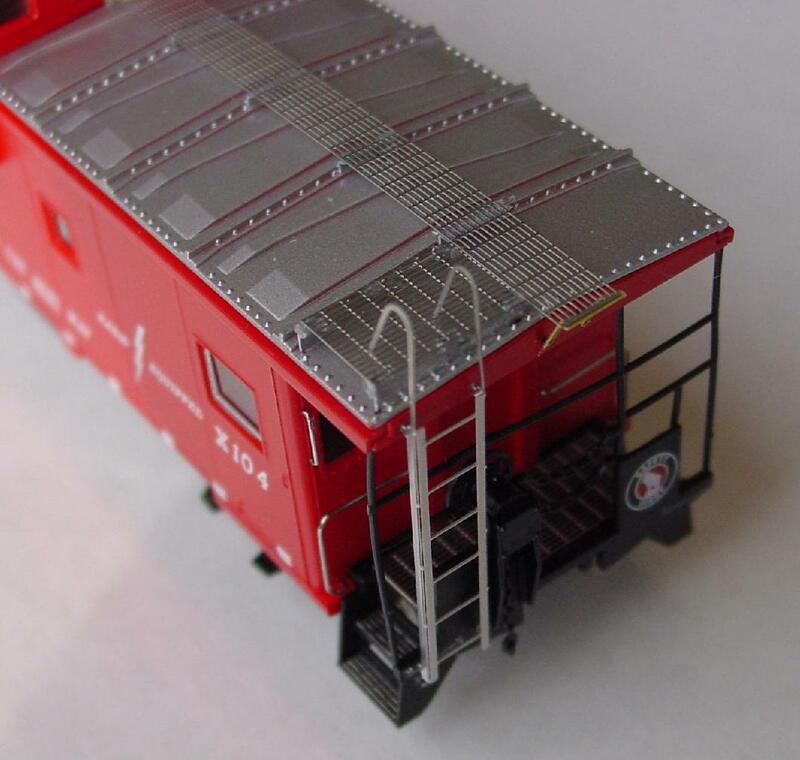 These two photos show the ladder bent and installed on the end of the caboose.